Bezelform's Engraved Wire Wrapping Mandrel Set Giveaway! The trickiest part of wire wrapping around a cabochon is when you have to shape the wire bundle. If you look at a cabochon sideways, you'll notice there's not much flat surface to work on. Cabochons are polished so the edges are also curved which adds to the awkwardness. So using a mandrel helps a lot. More importantly, it saves time if you are making a lot of these types of wire bezels. A couple of years ago, I came across Rick Swartzwelder's Bezelform mandrels - products he came up with because he wanted to speed up his own wire worked pendants. I eventually bought the unengraved set below and have been using them ever since. I like them mainly because I cannot easily find small oval mandrels. The graduated sizes also increases my design options. The handy case is very sturdy and helps prevent pieces going astray. You can see some examples of what I made using these mandrels in the original giveaway post. I didn't buy the engraved set because I wanted to save a bit of money! Besides I knew Rick provided the instructions on his website on how to apply even marks around. But there is an engraved version for those who want to save some time. What's more one engraved set will go to the lucky winner of this giveaway! A fabulous opportunity! There are plastic mandrels on the market or you could make your own from polymer clay, but the advantage with metal ones is their robustness. I have lightly work hardened metal wire with a hammer on mine! See these pieces? Rick made each of the cabochon bezel in 30 minutes! 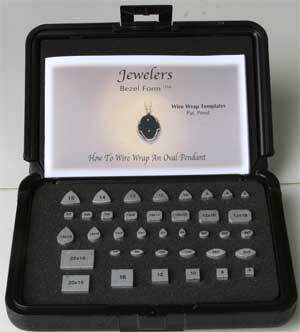 He also provides instructions on his site for prong style bezels. These will take longer to make than the traditional ones but worth it if you don't like all those long wire tails! Other artisans also liked the metal mandrels. So Rick has responded to requests for more shapes. His latest set is the faceted gemstone set. 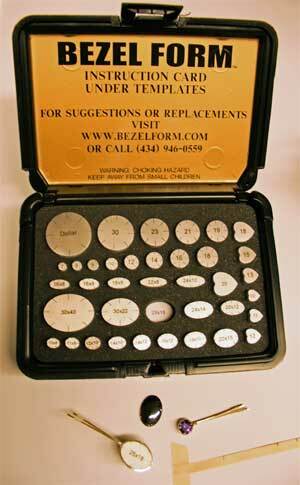 To enter to win an engraved Bezelform set, please make a comment below. Make sure you leave contact info if you do not have an online shop or blog. It ends in a week's time at 6 pm EST Monday, January 14 , 2013. I will pick the winner randomly and announce the results as soon as possible after. So be sure to leave a contact email if you don't have an online link or make sure you come back and check! Otherwise I will redraw in a week. Good luck! Great giveaway, hope it's me. I'm a blog subscriber and Facebook follower. I subscribe to your blog and follow you on FB too. This would be great! I want to learn to do wire wrap bezels and this would be very helpful! I follow on FB and the blog via email notices. What a fabulous tool! I'd love to be entered! I didn't know anything like this existed. WOW! This looks like it would be a very useful tool. 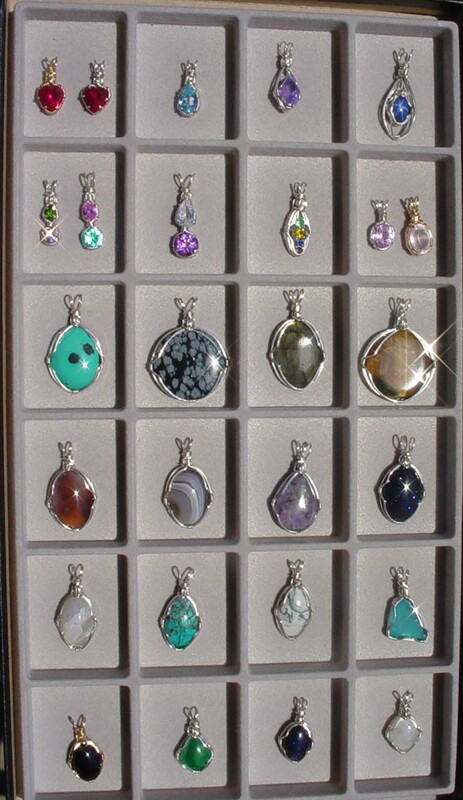 I've shied away from wire wrapping cabs because of all the reasons you mentioned above. This set would be a tremendous help! i love this, i hope to be the winner. I would love the Bezelform set! I subscribe to your journal and on Facebook. Awesome! It will really help me wire wrap a cabochon. 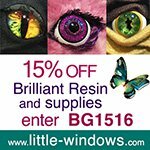 Its a fantastic giveaway and I am a blog subscriber. I have heard about these for awhile, so glad to see a giveaway! I would love to win these. I am a blog follower and a facebook follower. Now, this is something I could REALLY use. I've lots of beach glass picked up from the Nova Scotian shores around my home. Would surely make my life easier. What a timesaver those cabochon mandrels would be. I would love to have a set. I've tried wire wrapping a cabochon only once and decided I would try again "another day." fsgjm@earthlink.net or check out www.fsg4u.com for more information on jewelry classes and playing with FIRE! I would love to have this set wow! Also shared on Facebook in Wire Wrap Jewelry Artists Group. a GREAT IDEA! I struggle with the bezel idea too, and this would make things easier for me. I am inspired by your constant review of tools and methods on your daily blog - thank you. This looks like a good tool for many different uses. Thanks for the giveaway. I enjoy your blog! Oh yes, please, Pearl, great product and I want to be in this draw for sure! Wow! Neat tool. Wrapping a cab is always problematic. I would love to win this .I need all the help I can get with bezels. I would LOVE to win this! Looks like such a wonderful tool! I have a problem getting my wraps in the right places even though I measure. I've also shared a link to this post on Facebook for a third entry. Yeah! I follow your blog on Facebook and just shared this link. What great tools! I have dabbled in wire wrapping, but my problem was always getting the shapes to be uniform. These would come in handy for many other uses besides wire wrapping! What an amazing tool, have only tried free form wrap to date, would love to try this. Am a blog subscriber. Email- alythornton@yahoo.com. OH MY! This would be fantastic. 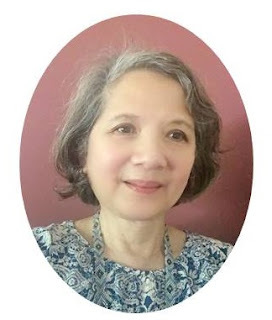 I'm a beginner and I'm thoroughly hooked!I'm a blog follower and I follow you on facebook. I'll repost on facebook. I've never thought about something like this - - - they'd be terrifiic for working with cabs. Thanks for your blog - it's always got something I can use! Those look fantastic! I'd love to give them a try. Would love a set of these! Fingers crossed I win! I would love to win these. I have quite a few cabachon's that need wrapping, but I'm losing some of the strength in my hands and can't get the wire shaped like I'd like, so this would be great. My e-mail is in my blogger profile. I follow you everywhere and I would love to win. These look amazing and wonderfully useful! Thanks for a terrific giveaway! I follow this blog on email, and "like" Beading Gem's Journal on Facebook too. I follow you everywhere and would love this set. I get your blog through email, just so I can keep up :) I also follow you on facebook. 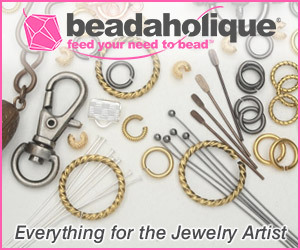 Wow-I didn't know such a thing existed-I think it might help me get over my fear "hump" and make wire wrapped bezels. Thank you, I also subscribe to your blog. What a great idea! Thanks for the giveaway, I also subscribe to your blog and like your FB page. Janet. What a great giveaway! I'd love to win this! What a wonderful idea. I have some problems with wire wrapping and this looks to be a great addition to my small "tool" collection. I so enjoy BGJ and look forward to your posts - they inspire my creative juices! So glad to do this. Great giveaway as always ! This is perfect! I've been trying out some wire wrapping, but haven't been having much luck. I'm sure this set would help. What a great giveaway. I subscribe to the Journal. They are a very helpful tools for wire wrapping. I know what difficult it is for me to use more wires and to manage keeping them together...My artisan name is Aldenn. This is a great tool, I would lover to try it out! These are wonderful. I bought a smaller set awhile back, but I would LOVE to get the bigger set, they are sooooo useful! Thanks for having the giveaway! Oh Oh Oh!!!!! I am learning/working on bezels now. this would be a great help! thank you for offering this giveaway! Gonna keep my fingers crossed! 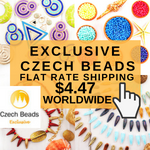 I subscribe to this blog and liked Beading Gems Journal on FB. What a great tool. I follow you on your blog and FB. This would be great to win. Love Rick's mandrels. I am just a hobbyist so I ordered the mini set and really like it. Would love to have the whole set! WOW! I am glad I can enter here. ha...i didnt know these existed!would make wrapping bezels much more easier. I love your blog. This would be awesome... I wire wrap and it is so hard to wrap cabs and gemstones especially with curved edges most the time i have simple wraps but this would take my wrapping to the next level... I am both a blog subscriber(email) and follow on facebook. Thank you for the wonderful chance to win this awesome set. I would really like to enter to win the engraved set. I have the smallest set and use them all the time. These are amazing. I follow your blog through email. My name is Debra. Thanks for the opportunity Pearl and BTW - Happy New Year! Please enter me in the Engraved Wire Wrapping Mandrel Set Giveaway. I am working on developing my blog and facebook page but don't have them completely set up yet. My email is reginampartain at gmail.com. This is a great giveaway. I've never seen this tool but I think I need one soon. LOL Thanks for all the information and sharing. Thank you for the great giveaway. This is an awesome and much needed piece of equipment. Thank you for sharing, it's much appreciated. I would love to have a look at this book. I have several cabachons but do not know how to wire them. This sounds like a great tool! I have been wanting to get more into wire working! Love the give away. I subscribe and follow on FB. I love to read your blog everyday. I am a subscriber. Thank you for all the effort you put into getting information to us, your loyal followers. I would love to win this tool. It would make my life easier. Fantastic giveaway. I'm a blog subscriber & Facebook follower. I never knew there was a set like this! It would be a HUGH help in my getting all the cabs I have wrapped to sell. Great giveaway. Would be a great start to the year. I am a subscriber and follow your blog. Would love to win one of these. It's what I need to inspire my bezel making skills. Would love to win of these! I would love to win these!!! 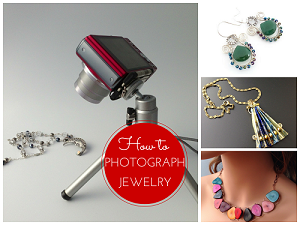 I own two shops on etsy and a blog, this would help me create great content and new creations! I can honestly say I'm DESPERATE for this kind of help. I've learned so much from your blog but making my own bezels has proven to be a frustrating task for me. This giveaway is a godsend. Val. I follow your blog, and will go now and follow on facebook. I have these bezels on my wish list for a long time. I think I first heard of them from an old post on this blog. .... keeping my fingers crossed! I'm just getting in to exploring more on cabochon wrapping, and something like this would really come in handy! I follow the FB and look forward to receiving my daily emails for your updates! Fabulous giveaway!! I'd love to learn how to make beautiful bezels! Thanks for the chance! I have never had the nerve to try making my own bezels.This could give me the impetus to diversify. THis looks amazing!! I subscribe via Google Reader and facebook! Awesome giveaway! I would love to have a set of mandrels like this. Wrapping cabs can be time consuming, with this set it would be so much easier. I have subscribed to your blog for awhile now, you always have such great info. I'd love to win these. I dont often wrap cabs due to their "slippery" nature. these would make wrapping so much easier and precise. Oh would I LOVE to win this great tool, thanks for the chance. I've followed your blog for awhile, always lots of great ideas and interesting comments. Rick has certainly put a lot of effort into these sets. Awesome tool for use in wrapping cabs, I always find them tedious but this would definitely make them easier. This is a wonderfull giveaway , i'm just starting out wire wrapping and this would be a GREAT tool to make it a ittle less intemadating , got my fingers crossed , "liked" you on FB .. and hopeing its lucky because the ending of the contest is my daugters birthday ... awesome blog as well ! 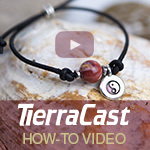 It sounds like just what I have been looking for; Wrapping Bezels is all thumbs for me! I also follow you on FB as well as your blog - Hope I have a bit of luck here - great set to have! I have had my eye on this set! What a wonderful idea! I really need to learn how to do this and this would be the perfect way to do it! AND thank you for making it international!! Another awesome giveaway! I'm a blog subscriber, twitter follower, and FB "liker"
Wow that would make cabochon wrapping alot easier. Great tool!! Oh my! I never even knew these existed. But now I feel lime I MUST own them! Would love to win the set. Will be following, tweeting, blogging, pinning and face booking later tonight! These look awesome! Great way to use those pieces of glass and gems that don't have holes. Thank you for posting...I look forward to you each day! Wow! I've always wanted a set of these! Fantastic Giveaway. I'm a beginner in wire-wrapping and i find now that this super tool exist! Wow! Must be very very helpfull! Thank you for this fantastic giveway! Good luck to every one ! What a great idea,especially with awkwardly shaped cabachons. Looks like a great time saver. I follow your Blog everyday, always looking for new ideas and I gave a shout out on Facebook! Thanks, Hope I win! these would be so awesome to win! I am just starting to learn wire wrapping and this would really help! I just subscribed to your blog too! Wow Great product for a giveaway! Thanks! I follow the blog, facebook and gave a shout out to friends. I would use these as a great base for new wirework designs! OMG!! what wonderful st of tools. I would love them!! Pick me, pickme, pick me!!! I could use them for so many things!!! I found you through a pinterest picture. Thanks for your openness to educate others. I am having the time of my life learning to make jewelry. This makes me want to get back into making jewelry again!! Awesome blog!! Very nice giveaway. I'm a blog subscriber. Oh man this would be awesome to have! post to my twitter and face book page! I feel like a kid at school, waving my hand and saying "Ooh, Miss, Miss, pick me, Miss!" I don't usually enter contests because I don't need much- but I absolutely need these. They would be a fabulous addition to my tool set. Very useful tool. I follow on facebook and email. Great tools, I love to wrap and these would come in so handy, stop the slipping and sliding that drives me around the bend. Thanks for the opportunity I would sure like to win this set. What a cool set of forms! That sure would make easy work out of something I find difficult!! Follow you on FB and my reader every day!! What a great giveaway, thanks! 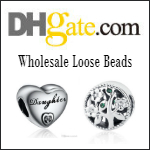 I'm a blog subscriber and have shared on FB and in the Bead & Jewelry Artisans Group. What a great giveaway idea. I'm always put off wire work where measuring is involved! What a great product! It would definitely save time and scratching of some of the softer stones I like to work in. I will be sharing this great post on my facebook as well! As always, you have the best stuff to share with us. What an ingenious tool! This would make bezeling a much less scary task, I'd love to try these!! OMG! Please pick me...I have tons of beautiful wire and cabs,and cannot get this to click for me.I am ready to toss the works!Awesome set,would relly love to have it! design my own stones. Thank you! Great tool! This would be a great addition to my tool collection! I am a faithful follower and also follow you on Facebook. Wow, they look like the would be wonderful to play with. Trying to enter the new contest but don't know where to write a comment! It 's for the Bezelform's Engraving Wire Wrap Mandrels Set. Please note that I moderate comments so they don't show up until I approve. OMG! My husband would LOVE this!! HE really likes working with natural stones..loves the challenges of creating bezels for these different-shaped beauties. Thanks for sharing! What a fantastic tool I would love to have a try, I'm very new to wire wrapping and this would be very helpful, love your site it has been very helpful and gives me great insight. Wow! I'd LOVE to win these. I subscribed to your blog and follow you and made a comment on Facebook. 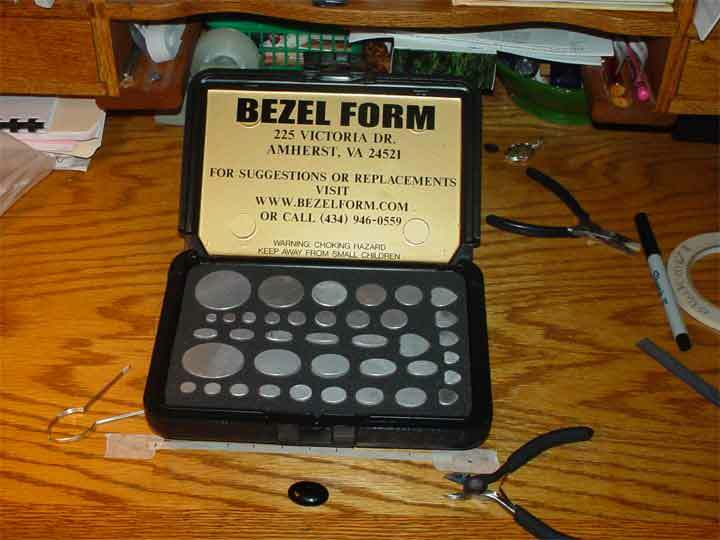 I have a set of the regular engraved bezelform's wire wrapping mandrel and I love them..would love to have the gemstone set...great products! I follow your blog all of the time because of the great tips and tricks of the trade. This would be a great asset to my tool set. This tool would help me out and give me confidence to try new techniques. I am a blog, Twitter, and Google+ follower. Pearl this is a great gift! Thank you for allowing us to participate. This looks AMAZING and would be perfect being wirewrapping bezels is something I've been trying to figure out for awhile! This is such a great tool, I never knew existed! It would really make things so much easier. I also subscribe via email. My sister has talked about using a mandrel, but I had never seen one! Thanks for the opportunity to win one! I am an email subscriber to your blog and follow you on FB and Pinterest! Hello, my name is Adrianne and I love your blog. I am from Nigeria and since discovering your blog I keep coming back. Keep it up. Wow these make it look so simple. Would love to get them. very cool. would love to have it. I found you thru Pinterest. This looks like a great tool!